Members of the Niles West Model United Nations delegation meet with the Consulate-General of South Africa. The world has a multitude of pressing issues, such as the refugee crisis, climate change, and nuclear proliferation. These, and many others, are all topics the United Nations must deal with on a regular basis. 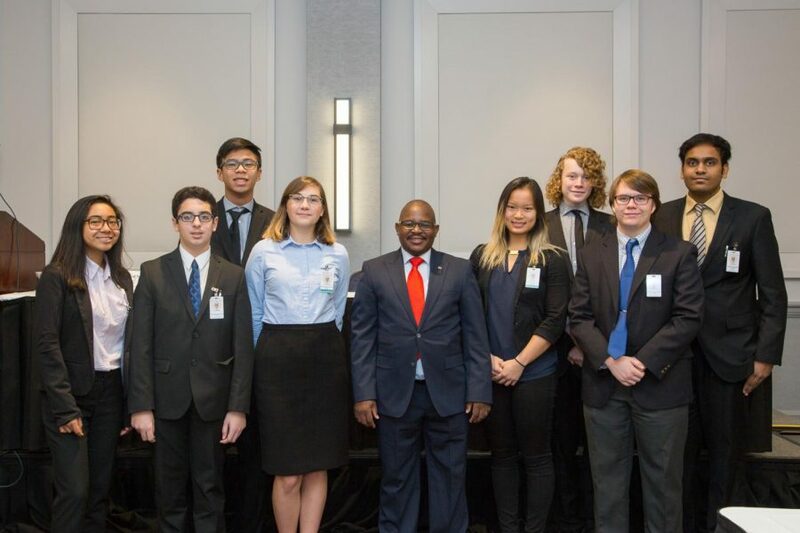 Students on the Niles West Model United Nations team simulate the organization to gain experience in the process of international diplomacy and problem-solving. According to Model UN sponsor Neil Koreman, the goal of the club is to prepare young students for leadership in a developing world. “Model UN is a student club that mimics the United Nations, and the goal is to model leadership, decision making, and resolving global conflict,” Koreman said. Last season the team traveled to Washington University in St. Louis and the University of Michigan, Ann Arbor. The delegation was small, but it allowed for the students to become more tight-knit as a team. Senior and Secretary-General Caelin Muniz hopes to expand membership of the club this year, while also leading the delegation to success at a variety of conferences. Koreman would also like to boost membership of the club, so more students can get the benefits of attending a Model UN conference. Model United Nations meets in room 3335 on Tuesdays after school.